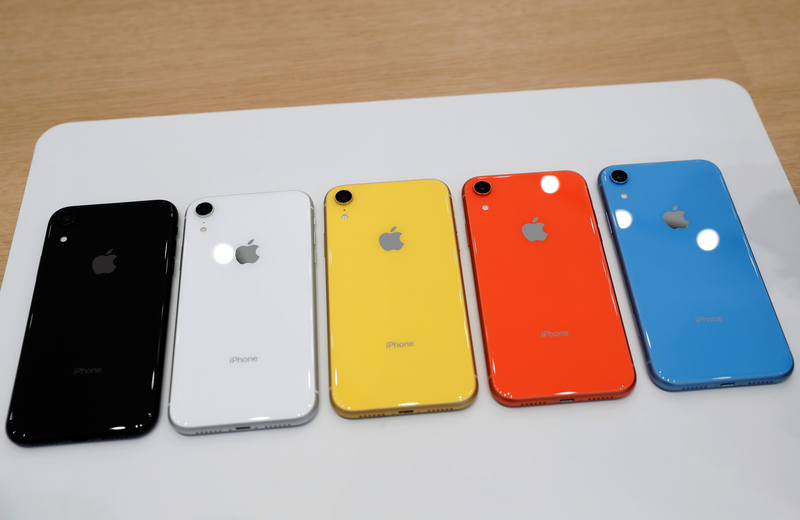 The various colors of newly released Apple iPhone XR are seen following the product launch event at the Steve Jobs Theater in Cupertino, California, U.S. September 12, 2018. Qualcomm and Apple said on April 16 they had dismissed all litigation between the two firms worldwide. The settlement includes an undisclosed payment from Apple to Qualcomm. The two firms also reached a six-year licensing agreement, effective April 1, and a multi-year chipset agreement. The two have traded legal claims since 2017 over how Qualcomm collects royalty payments on chips that help Apple’s devices, such as the iPhone, connect to wireless networks. Apple had been seeking up to $27 billion in damages, and Qualcomm had sought up to $15 billion.